Older Edward and young Bella get married on a whim. -First Place = Recieves first place banner as wells as two cover art/banners/graphic art for stories of their choice. -Second Place = Recieves second place banner as well as one cover art/banner/graphic art for stories of their choice. -Thrid Place = Recieves third place banner. What if the real reason Edward shouted at Alice upon learning that she had promised to change Bella was because you became sexual submisse to the person who changes you. In the Cullen household Carlise is the alpha and takes care of all his children and has them please him when he desires them. It is now after the newborn fight and Edward has to tell Bella how the family works and then while talking to Carlise it is decide he will change her. I think Alice and Jasper would do as Carsile asked out of respect and desire to fit in. 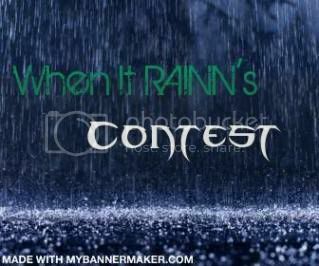 A contest to raise awareness about what RAINN stands for. Show your support for this cause. Rules: Any pairing, and rating but please have warnings if it's needed, nothing overly graphic, Must be a one-shot but you can expand the story after contest is over. submissions for the first round begins today and will end in December 6th. Use these words to inspire a short story. There will be two judges including myself so thank you for at least signing up!